Data recovery experts in Arlington, VA to save your laptop’s data. Envescent, LLC provides customer-centric laptop hard drive data recovery. We help customers with accidental formats, deleted files, damaged partitions, slow or failed hard drives and damaged laptops. Our data recovery lab is located in Arlington, Virginia and offers secure and private data recovery services. Get your case started now. Use the link above to get your data recovery case started right away. Opening a ticket is the fastest way to get started. We can answer your questions or get your case started from there. Our experts are standing by, ready to help you salvage your information. Laptop data recovery from storage experts. We offer retrieval services for both mechanical hard drives and flash memory-based solid state drives on laptops. Our focus is recovering the information you need cost effectively and expediently. Whether your laptop hard drive has been formatted, had data deleted, experienced a crash or otherwise damaged, there’s a good chance that data can be recovered. Pay attention to signs of a hard drive failure. Signs of a failing laptop hard drive include slower performance, software or computer crashes, persistent error messages when booting up or problems with file system errors. Other signs may include a clicking noise, beeping or grinding noise signaling that the drive is seriously damaged and may need a phase 3 data recovery. Laptops use smaller, more fragile hard drives. These drives are more prone to failure because of their increased storage density and smaller, more intricate mechanical parts. In addition, laptop hard drives tend to be poorly ventilated and more prone to overheating. In addition, laptop hard drives tend to travel more and sustain more incremental physical shock and damage. We give every case the attention to detail it deserves. Every laptop hard drive data recovery case is different so we begin by working with the hard drive to isolate the root of the failure using our diagnostic process. By evaluating the drive we can determine exactly what’s wrong and only charge you for the services that your laptop hard drive data recovery requires and nothing more. This sets us apart from firms that diagnose every drive for free and then are tempted to charge higher fees on successful cases. 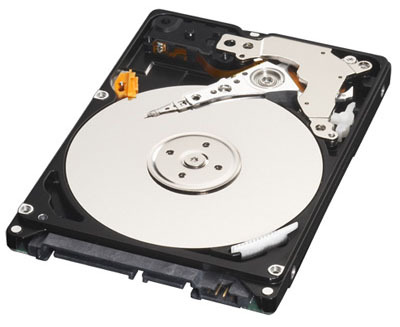 We have three phases of laptop hard drive data recovery. Prices and turn around times vary depending on the condition of your hard drive and its file system. Encrypted drives, RAIDs, multiple drives and other non-standard configurations may incur extra data recovery fees. PHASE 1: If your source storage device is in relatively good condition and we are performing basic data recovery procedures. Data is copied to an external hard drive or another computer the estimate cost is usually about $375.00. This covers situations where the computer has failed but the hard drive is intact, removal of malware, minor file system repairs, file permission repairs, trouble with a very recently deleted single file, etc. The process usually takes about 4-6 business days (after diagnostics). PHASE 2: If instead your source storage device has been damaged and it needs advanced data recovery the estimate is usually about $450.00 to $900.00 depending on the amount of damage and how that complicates the process for us. This process usually takes about one to two business weeks, but may take longer if the drive is very damaged (after diagnostics). PHASE 3: Some drives may be extremely damaged and require mechanical data recovery services. This is only about 10% of cases we see. This operation costs $1,350.00. This process usually takes about 3-4 business weeks (after diagnostics). Get your case started today by using our secure online data recovery form. Our team gives your laptop hard drive data recovery the attention it deserves to give you the best results possible. Every case matters to us because we understand your data is made up of hard (if not impossible) to replace files or time that’s been spent that could be otherwise allocated if the data was made available again.